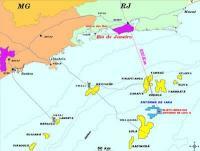 Petrobras has confirmed the extension of the Jupiter discovery in the Santos Basin pre-salt block BM-S-24 following drilling operations at well 3-BRSA-1246-RJS (3-RJS-732), informally known as Apollonia. 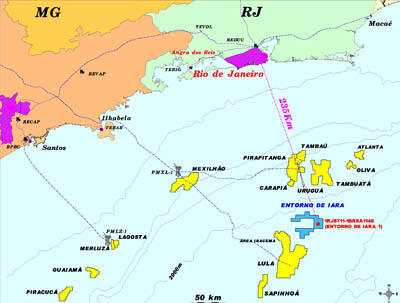 This well, which is situated 296 km off the coast of Rio de Janeiro, at a water depth of 2,183 meters, is the fourth well drilled in the Jupiter area and is 8 km southwest of the discovery well (1-RJS-652A). Drilling activities have confirmed a hydrocarbon column of about 313 meters, starting at a depth of 5,166 meters, with rocks showing good porosity and permeability conditions. Besides the gas cap and condensate, the well verified an oil column of some 87 meters thick. The well drilling is still in progress and is expected to reach a final depth of approximately 5,700 meters. Samples collected from the well have confirmed similar fluids to those found in pioneer well 1-RJS-652A (Júpiter) and at both extension wells drilled so far, which have confirmed a sizeable reservoir of gas (natural and CO2), condensate and oil. The consortium, operated by Petrobras (80%) in partnership with Petrogal Brasil (20%), will proceed with the activities provided for in the Discovery Evaluation Plan approved by Brazil’s National Petroleum, Natural Gas and Biofuels Agency (ANP).